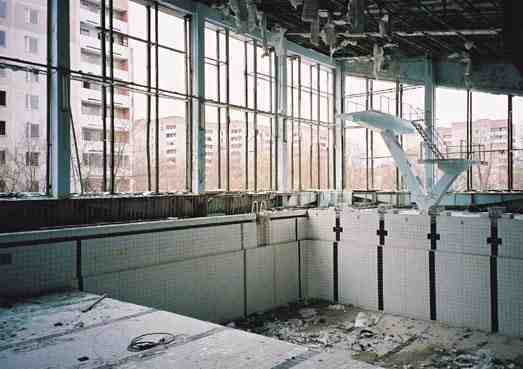 I assume most of you will have heard of Chernobyl, and the meltdown of the Nuclear plant over there back in 1986. I was always fascinated by it, but have never found much about it on the net, it seems to be something that everyone wants to forget. What is so amazing is that everythign is there virtually untouched since the accident in April 1986 - It's just like a timewarp, the town is just frozen in time. We've got two of those mens magaines here in Australia. It's either FHM or Ralph and they had an article in it a while back where they sent two journalists over there to write a story about the whole thing. Was really interesting, there is actually still people living near the actual plant or something, and it's cracking! Imagine just, going inside the concrete tomb thing, that would be nuts. Yeah, I saw a documentary a few weeks back. There are people who still actually work in the plant . The reporter even went into the main control room where things started going wrong - with minimal protection (I think it was just a face mask and a geiger counter). wouldnt she die after that? its a thing ive never learned about, always knew the basics but thats about it. i love learning about chernobyl. it was a real nuclear meltdown that actually happened- not like the rest where the safety mechanisms stop the meltdown early or usually before it happens. The number of people that died wasnt amazing, but nobody upwind suffered injury. the radiation just folllowed the flow of the wind wich was directly for that town. So basically whatever was cleaned up, its relatively safe to walk on and you should be OK, not receiving too much radiation as long as you know your way, right? BTW do this guys who work there recieve as much radiation daily as say transatlantic pilots do, more, less? You don't really die from radiation, just the probability your children are misformed is multiplied by 2, but as the risk is only 1%, it just goes to 2%, which is nothing. That was said by my physics teacher at university during an exercise with radioactive elements. But he didn't care anymore as he was surely more than 55. This is where I get all confused. What exactly is radiation? It's not a solid, it's not liquid, what is it? How does it mess with you? radioactivity comes in many forms, and instead of me trying to explain the basics that i know heres a link- http://www.darvill.clara.net/nucrad/types.htm it should give you an idea. P.S. Look at my post count. 1234. HAHA! That site is very good, only got around to reading last night. It is pretty creepy how quiet it all is there, wouldnt have minded being on one of those tour groups though i think it'd be pretty cool. Apparently, as long as you stick to the roads you can get quite close to Chernobyl with virtually no increase in radiation dose at all. This is due to the fact that the asphalt doesn't absorb much radiation. I saw a video about this when I was at Uni (studying Environmental Protection). 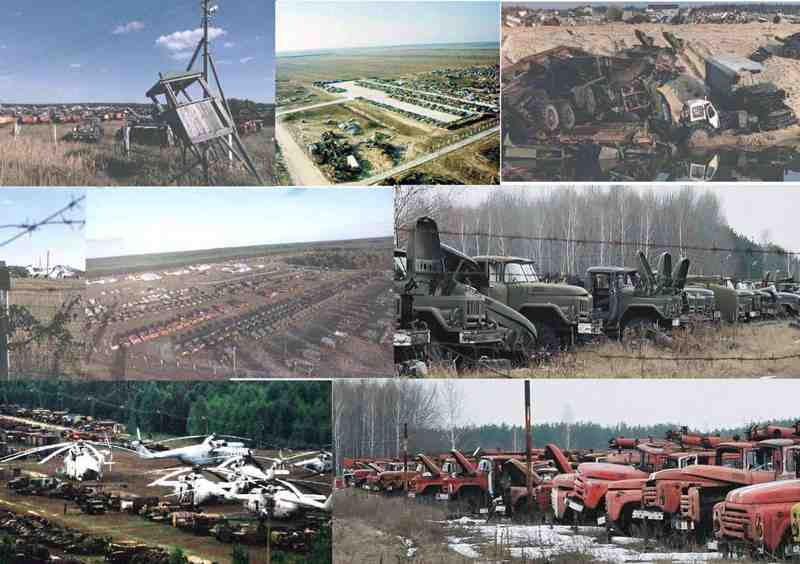 In the days following the disaster, volunteers were asked to follow a path through the complex and try to clear up as much radioactive waste as possible within a set period of about a minute or so. Actually I remember hearing a few years ago that the sarcophagus had been built so poorly that it's already beginning to crumble. It's apparently a full time job just trying to patch up the holes in it. Bit worrying really. Thanks for that link dannyboy! Some interesting pics in there - the control room picture is particularly creepy. It's weird to think that there are scientists working there on a day to day basis monitoring the plant, you can quite freely wander through most parts of it with near to no protection. I heard that had the firefighters (many of whom died soon after) not extinguised the blaze, the plant could have melted all the way down into the water table, and contaminated the water supply for all of Europe - I don't know how much truth there is in this, but it sounds pretty scary . I think they're gonna re-build the sarcophagus some time soon, as it's pretty dodgy these days. 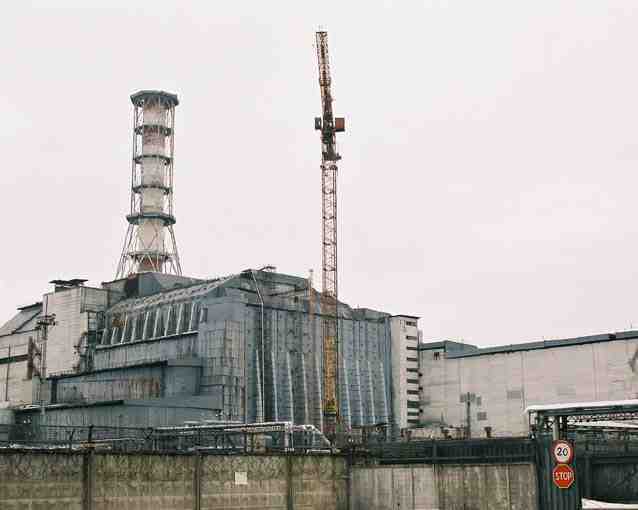 It's also strange to think that the Chernobyl complex consisted of numerous reactors (I think 5 in total), and the others continued to generate power up until the year 2000 (14 years after the accident at complex 4!). 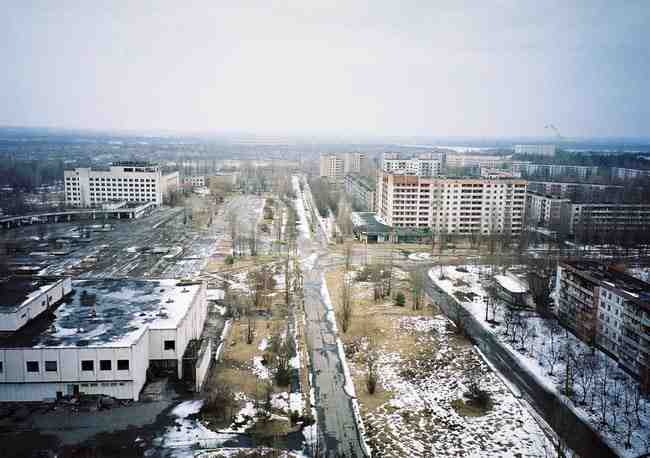 It's possible to visit the site and the ghost town for as little as £50 for a day trip from Kiev - I'm very tempted by it! Edit: Picture updated you smartarses! yeah it would be really cool to go there, I've always been interested in this stuff as I used to work for part of Siemens, where we made spares for BNFL and Magnox power stations, and also the reactor control systems for nuclear subs. At least the other reactors have been ok anyway. The problem is that it's far more expensive to decommission a reactor than to just leave it running, so that's probably why the others have had such a long stay of execution.